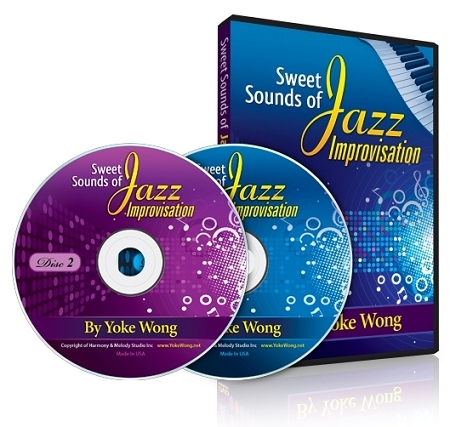 It has been quite a while since I wanted to write to you to tell you how much I enjoy going through your ‘definitive improvisation course’ as well as through the ‘sweet sounds of jazz impro’. You are THE teacher I needed, and this for a number of reasons which I cannot describe in detail (you might get embarrassed! Also I cannot express myself very well, especially in english) but I would like to stress the two things I most appreciate in your courses: first, the absolute clarity of the explanations and examples, and second, the fact that you are showing, over and over again, that it can be so much fun playing the piano. I loved the introduction to the jazz course: don’t worry about the rythm... syncopation and dissonance are the key... I don’t even know what chord I am playing, as long as it sounds good, it’s okay.... and so on. And now I also have fun when I sit at my piano, but it’s better if nobody is around as at this stage I experiment all the time and it is delightful (for me, but not for the listeners!). I have a litte DVD/CD player I carry with me all around the house, specially in the kitchen, where it is ideal to watch/listen to an already known lesson while cooking or washing the dishes. Then I go to the piano, try to imitate you or do my own little things, then back again to the DVD and so on. So far I havn’t even let anything burn (the piano is not far from the kitchen), but the day this happens, I will be very happy, indeed! The jazz improvisational course is the ultimate in better understanding the jazz movements.It is an inspiring course that enabled me to play better and unfolded more knowledge and understanding of chord and scale usage in any song. My only regret is that I did not find this course sooner.I have played piano for years but now that I am teaching more, the knowledge I have gained makes me a better musician and a better teacher. I recommend this course for both professional and student. This course is helping me immensely to begin to improvise and also to understand jazz sheet music and performances. I like it so much that I have now also purchased the longer improvisation course. I didn't choose "strongly" because the DVD needs a menu and some written material to facilitate finding sections. But that's a small flaw compared to all I am learning.